Hi there! Today, we’re going to crochet! 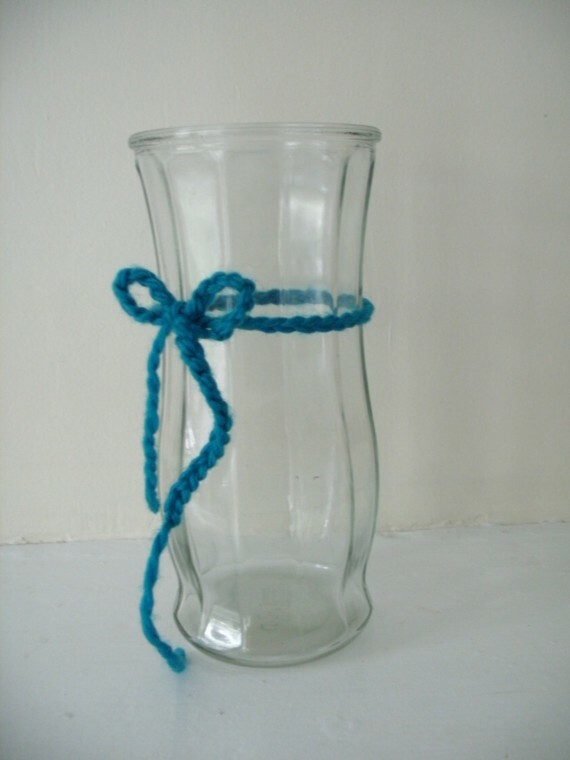 Never crocheted before? Don’t worry! This tutorial is written for total crochet-newbies, and by the end of this post, you’ll be crocheting chains that you can use as necklaces, headbands… or whatever else you imagination comes up with! 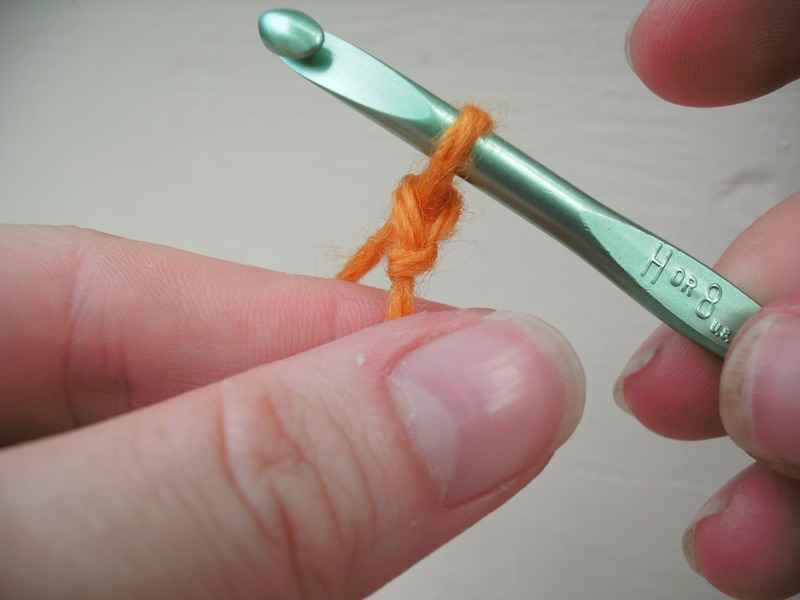 To get started crocheting, grab some yarn and a crochet hook. It’s easiest to use the size hook that’s recommended on the yarn label. 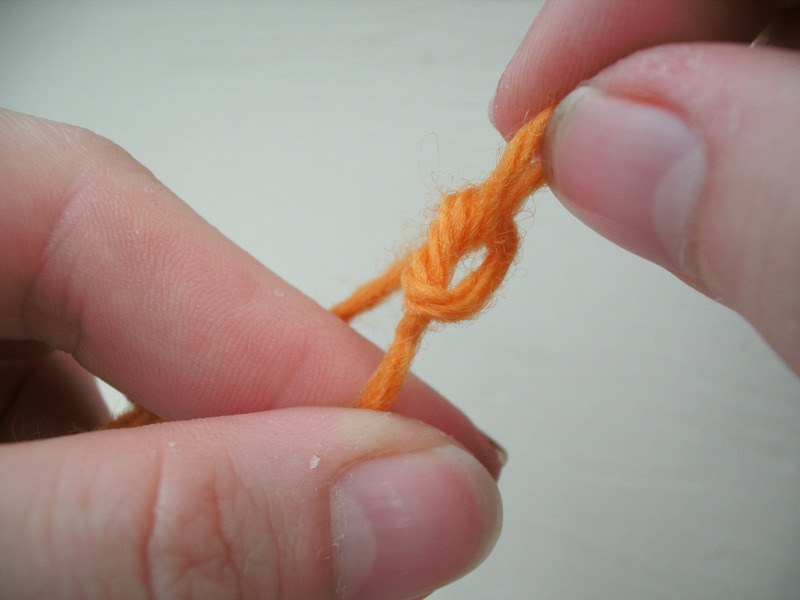 To begin, make a slip knot (check out the video if you don’t know how!). All crocheting begins with a slip knot. Now, we’re going to start crocheting! 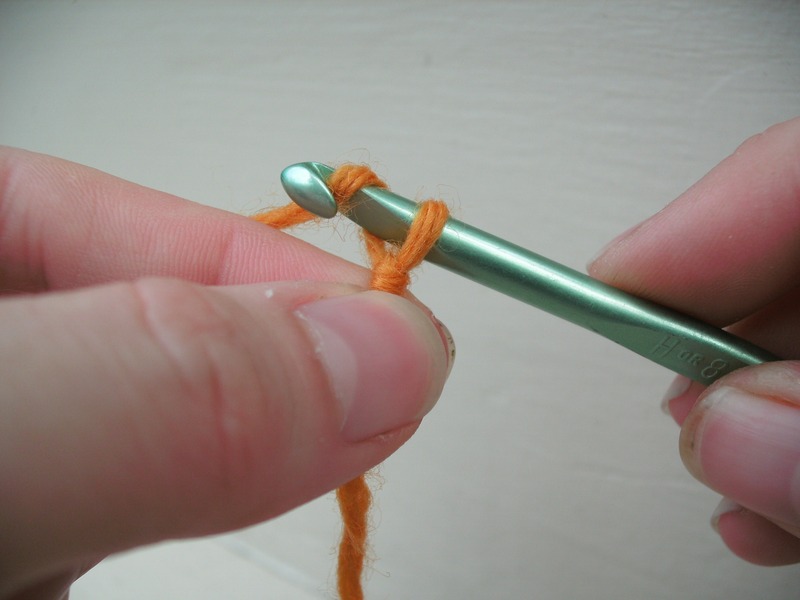 Insert your hook into the loop created by your slip knot, and tug on the tail (the short little piece of yarn that’s not connected to the ball) until the loop fits snugly around your hook, as pictured. Now it’s time to chain! Hold the working end of the yarn (the really long end that’s attached to the ball of yarn) and wrap it around the back of the hook to the front, so that it wraps around the top of the hook, as pictured. 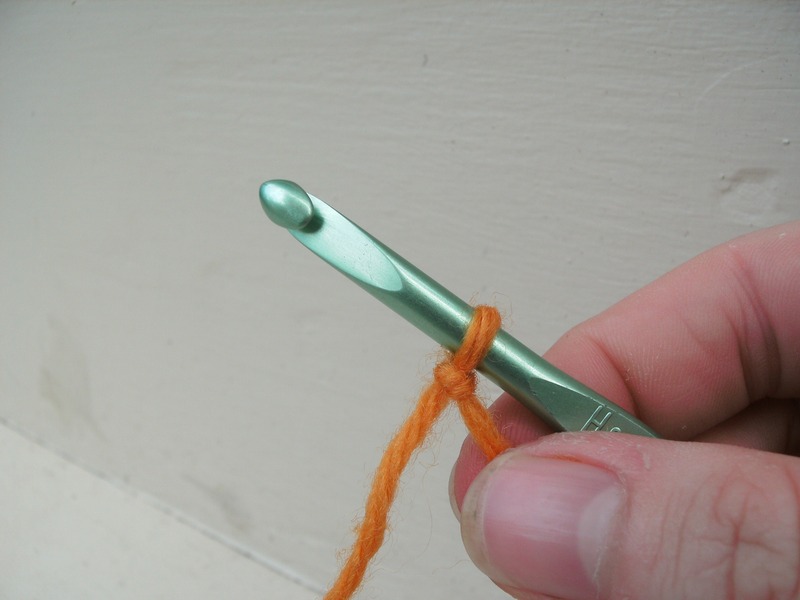 Using your hook, pull the yarn through the loop on your hook… and ta da! You have your first chain! If that went too fast for you (it’s hard to show every little step in pictures! 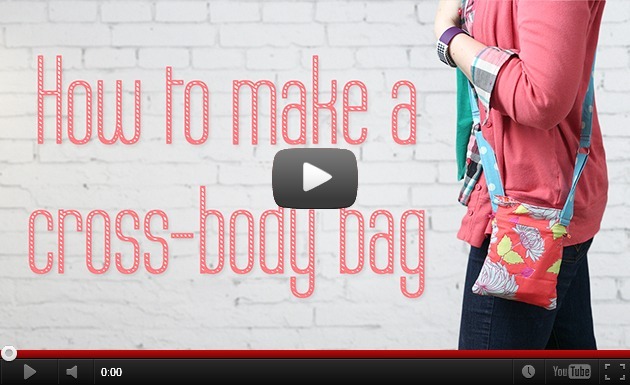 ), check out my video on chaining. To make more chains, repeat the last two steps (wrapping the yarn over the hook and pulling the yarn through the loop) over and over again… you’re crocheting! When your piece is as long as you want it to be, cut the end of the yarn, leaving a couple of inches, as pictured. Wrap the yarn over the hook (like you’ve been doing), but pull it all the way through. You’ve finished your chain! 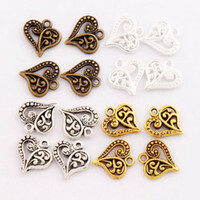 You can do whatever you’d like with a simple chain… it makes a lovely little decoration on its own! But, I think the fun comes in combining lots of chains together. 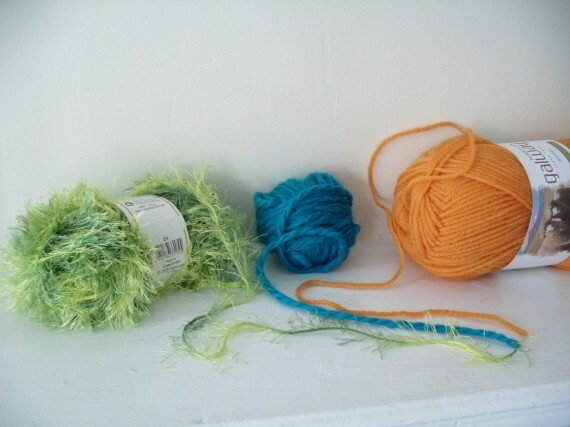 I found a few yarns in colors that I thought looked really great together. And because a chain doesn’t take up much yarn, it’s easy to find a few scraps of yarn for this project! 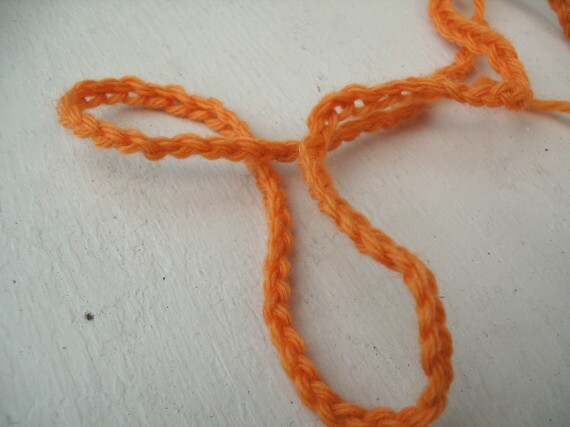 I crocheted a chain with each yarn, just as described in the last section. 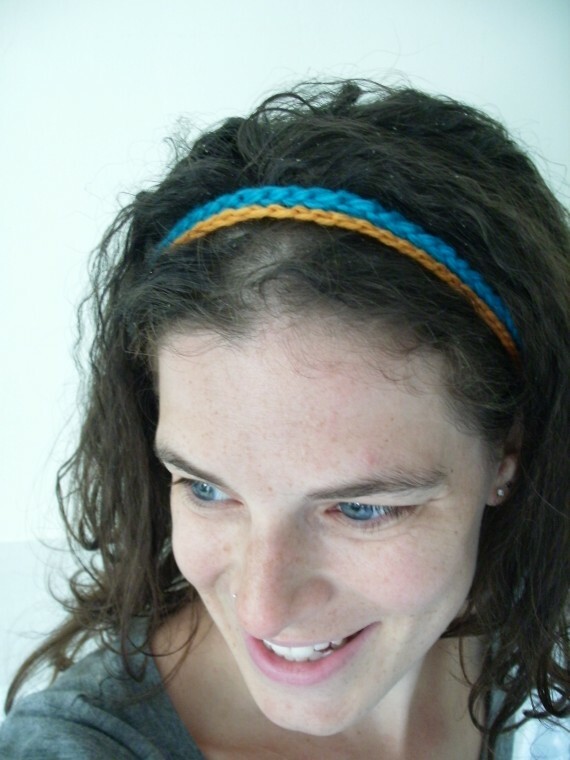 With two colors together, I made a great headband! And with three colors, I made a super-cute necklace! You did it! 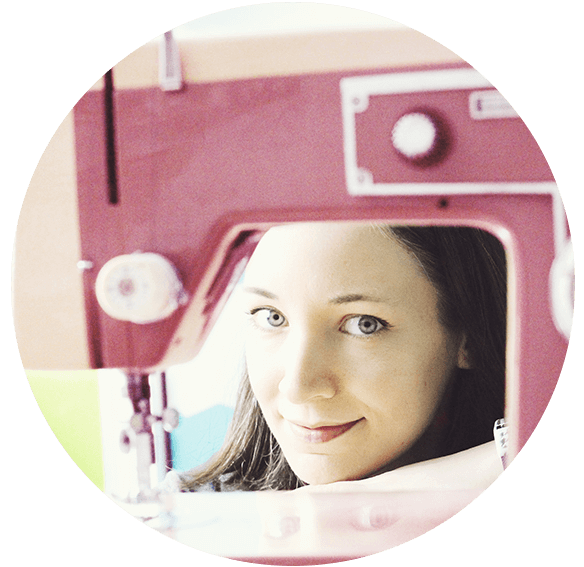 (I know… some of you were skeptical that you could really start crocheting, weren’t you?) And it wasn’t that hard, was it? 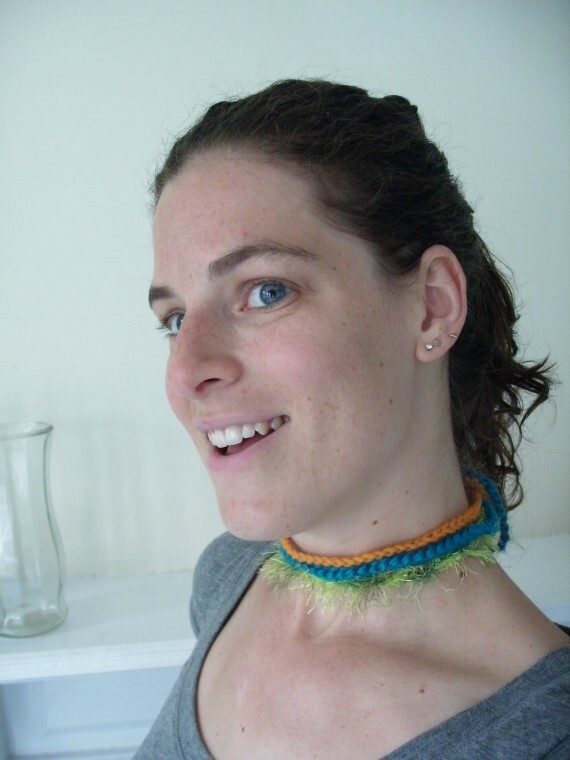 Once you’re a chaining expert, you’ll want to keep crocheting! 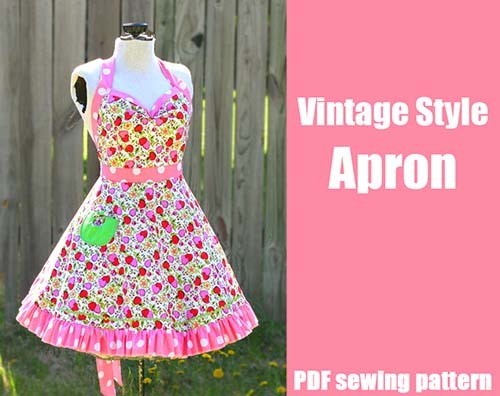 Luckily, there’s oodles of resources and crochet patterns out there! 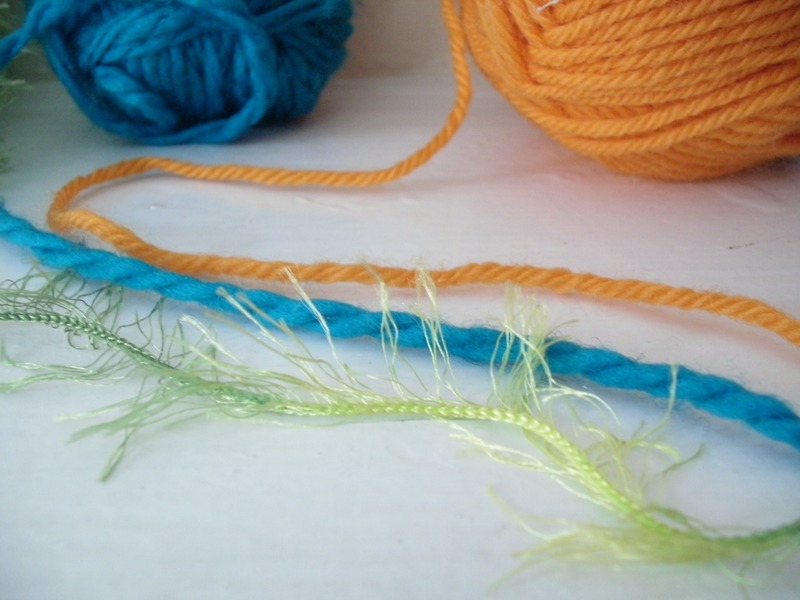 For a great source of crochet patterns, join Ravelry and browse around. 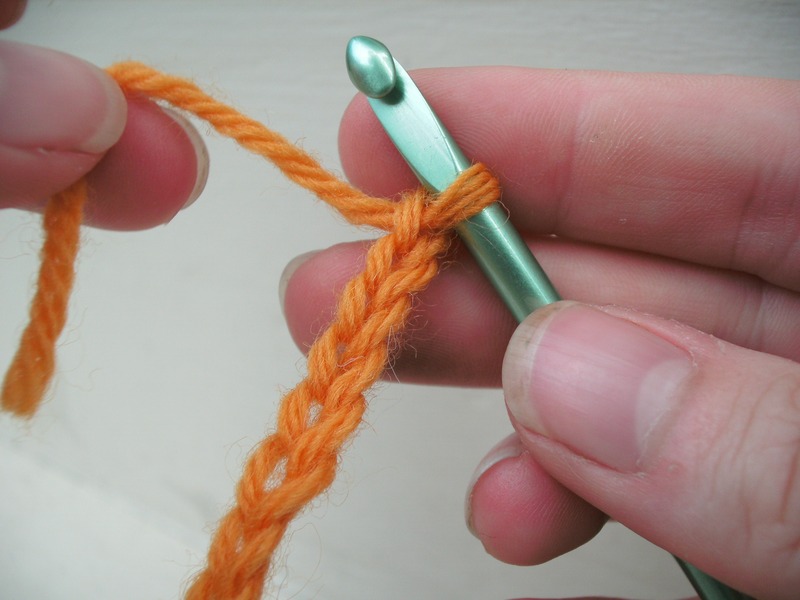 If you’re at a loss about how to start reading a crochet pattern, check out this helpful blog post. 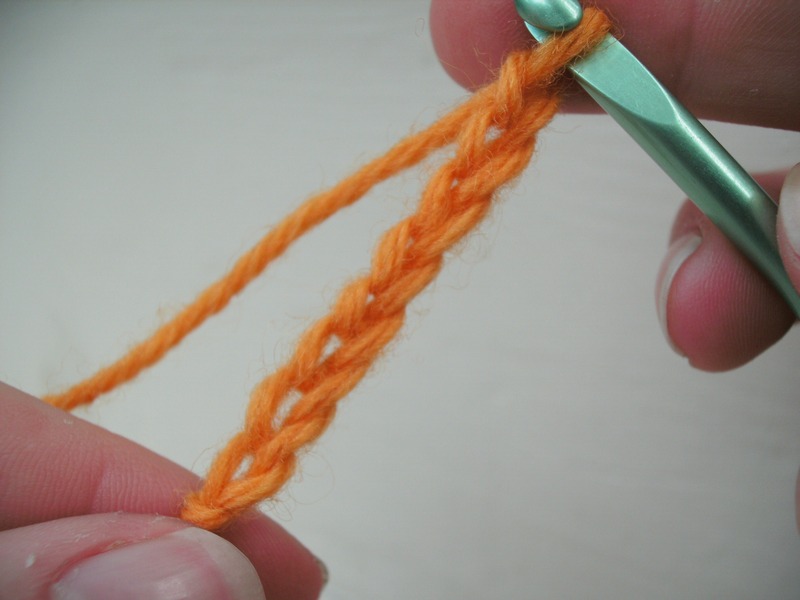 I personally am a big fan of looking at YouTube for videos about different types of crochet stitches! With this starter, and the power of the internet… you’ll be a crocheting pro just in time to make a nice winter hat!